Corner Rt 62 and Rt 605. Across from Eagle's Pizza! 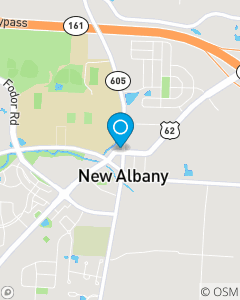 Our mission is to help the families and business owners in the New Albany area properly insure and protect their personal property, assets, and lives from unexpected risks. We look forward to assisting State farm insureds in realizing their dreams through regular insurance and financial services reviews.